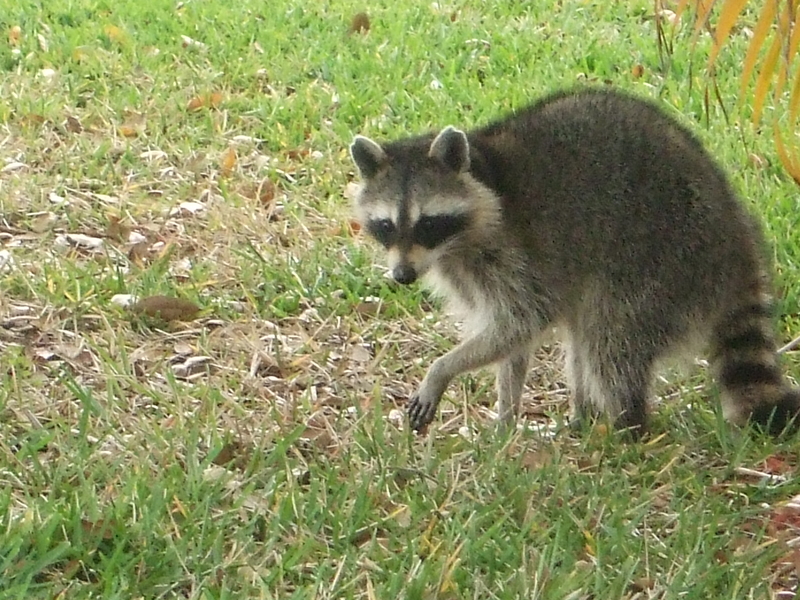 This morning I heard screeching behind the house and went out to investigate the problem. 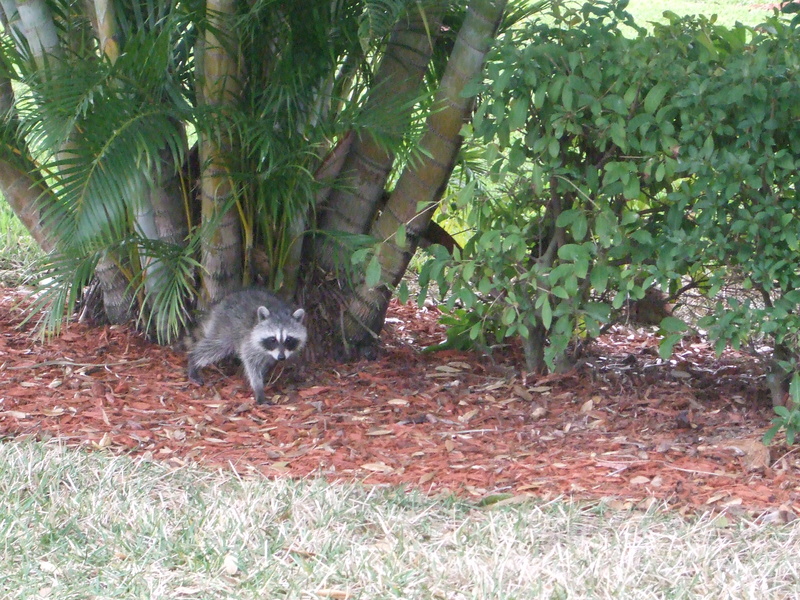 A large racoon kept attacking two little racoons. 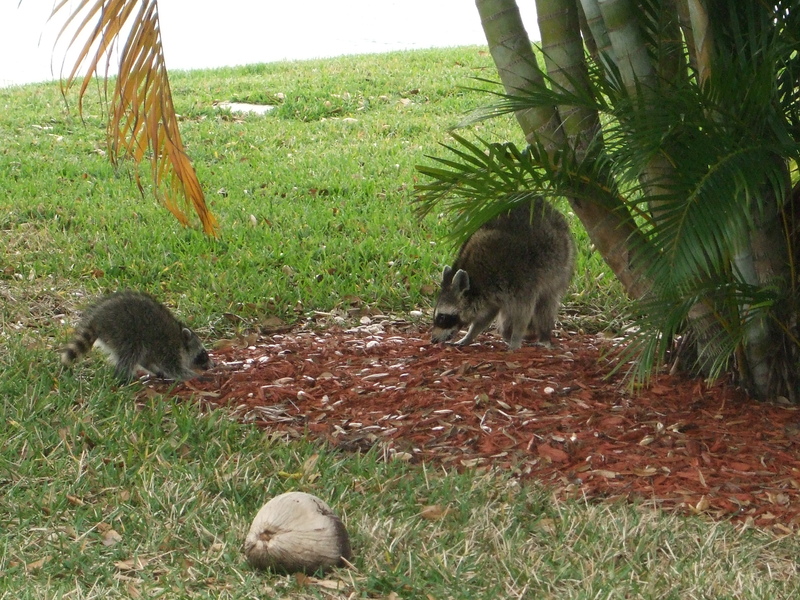 I worried about the little guys, but after watching the action, I figured out that Mom was disciplining her youngsters. One of them must have been a teenager–– judging from his insolence and difficulty with rules. She’d chase them up into a live oak and run off by herself. The bold one then skittered down the tree trunk as soon as she was out of sight and ran after her. The timid one ventured down eventually, but Mom snarled at both of them and knocked the bold one off his feet. He didn’t learn his lesson and ran after her on her next venture out. I’m glad my kids are grown. Always enjoy seeing these goofy guys!